We’re a small staff here at State of the Union and Reliable Sources. Our team of 15 includes people of all ages, shapes, sizes, and skill sets. Here are 10 things you need to know about us. 1. We come from all parts of the United States: Missouri, Michigan, Illinois, Iowa, Texas, Utah, Pennsylvania, Georgia, Maryland, Massachusetts, New Jersey, and New York. One staffer is from the UK. 2. We are moms and dads. Our kids range in age from 3 weeks to 33 years old. None of us are getting any sleep. 3. Overall, we prefer cats to dogs. Staff members with cats (Yuckles, Larry, Wilson, Marty, Cody, and Teddy) outnumber staff members with dogs (Gus, Nate, and Cowboy). By the way, there’s an arrest warrant out for Gus. He’s wanted for questioning in the deaths of at least twelve baby bunnies. We have seen photographic evidence, but won’t give up his location. Nobody snitches on Gus. 4. Our hobbies include playing golf, running, cooking, reading, and drinking wine. Not necessarily in that order. Most likely in the reverse order. 5. 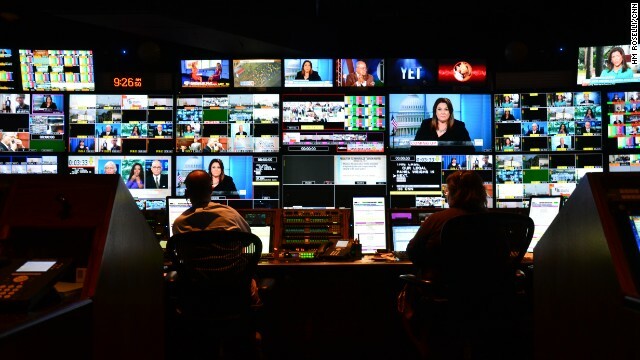 Combined, we’ve put in at least 125 years for CNN, and many of us have previously worked for other news organizations like Fox, CBS, NBC, ABC, CSPAN, the Associated Press, and the BBC. 6. Some people call us “personal stalkers” since we routinely cold call complete strangers and beg them to appear on our show. 7. Our workweek starts on Wednesday morning and ends on Sunday afternoon (just in time for the second quarter during football season). 8. Speaking of football, it’s the favorite sport around here. Our favorite teams include the Ravens, Eagles, Bears, Redskins, Jets, and Cowboys. One staffer (see #1) likes the wrong kind of football, but we’re nice to him anyway. 9. Our tastes in music range from Hip Hop to Country to The Grateful Dead to Irish Folk Music. You should come to our parties. They’re both entertaining and confusing. 10. Finally, you should know that we’re all very passionate about government and politics, and we like to read and watch news 24/7. However, we make one staffer get up at 2am on Sunday morning to read all the newspapers and give us a synopsis before 5am. Even passion has limits when it comes to sleep.